Essential oils are some of the most complex and powerful elements found in nature. Unfortunately, many essential oils on the market can be nature-identical, synthetic or adulterated in some way. It takes the real deal — a 100% natural product — to be truly effective and beneficial to our health. As you continue your journey to better wellness, you might have a few questions about essential oils. What are they? Where do they come from? How are they made? Are they all the same? Here, we’re breaking down the process of how essential oils are produced to help you better understand these wellness-enhancing powerhouses. Essential oils are highly volatile, complex chemical structures made up of plant molecules. They’re created in nature, by nature, for natural purposes — from helping the plant survive and thrive, to improving your wellness. They are known to be the life force of the plant: concentrated energy that allows plants to function as they should. But, fun fact: essential oils aren’t actually oils. The term “essential oil” is a misnomer that's been in the industry since the beginning. 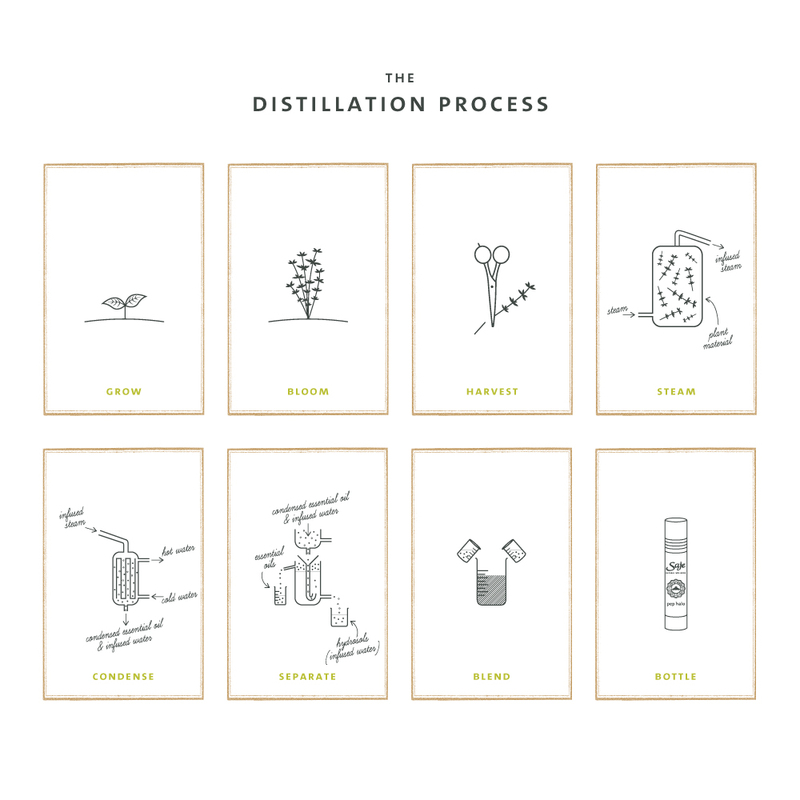 They’re actually pure plant essences that only act like oil: during the distillation process, they float on top of the water, just like oil does. Essential oils come from various species of flowers, grasses, fruits, leaves and trees. They are found in the secretory system of plants (in other words, the bark, seeds, leaves, petals, stems and roots). On average, essential oils are 80 times more potent than the dried form of the herb. Essential oils are sourced from around the globe. We get our lavender and rose from Bulgaria, our bergamot from Italy, and our sandalwood from Australia. When sourcing our essential oils, we have a simple rule: if the plant can’t be harvested sustainably, then we don’t use it. Rosewood, for example, was recently deemed an endangered species. To make sure we’re always doing right by our planet, we swapped all rosewood in our products for a more sustainable option: ho wood. Because essential oils are a natural product and crops can vary from year to year, this means the aroma or colour may be slightly different from batch to batch. Don’t let this throw you: it’s just another telltale sign of a 100% natural product. Essential oils are extracted from plants in a number of different ways, depending on the source plant material. Used exclusively to collect citrus essential oils, cold expression is when the outer skin (or rind) of citrus fruit is put under pressure to release the essential oil. The collected liquid is then put through a centrifuge to separate the essential oil from the juice of the fruit. 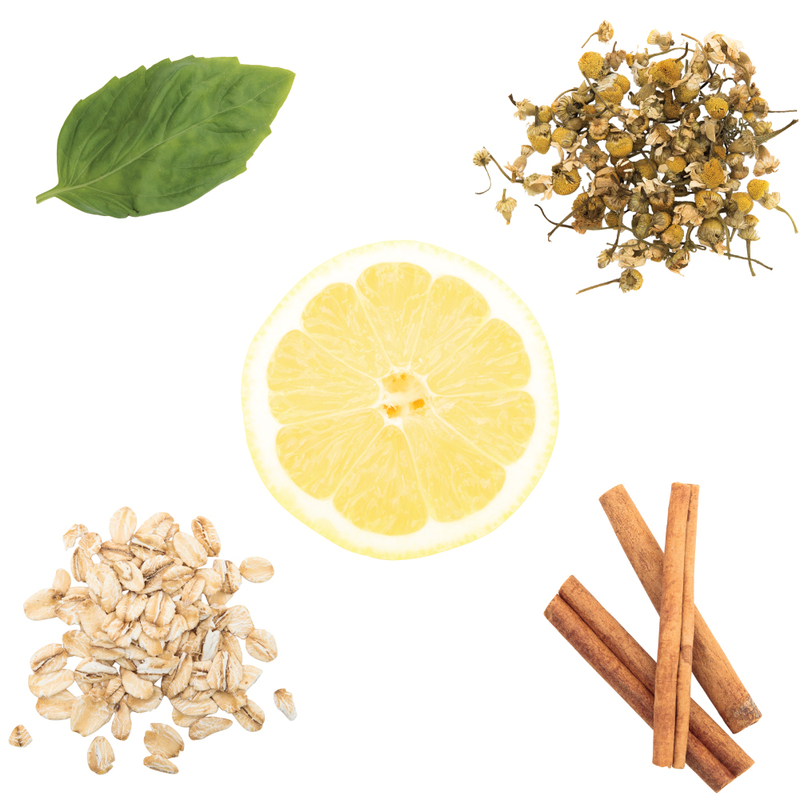 Expressed citrus oils, while potent and aromatic, also contain naturally occurring, non-volatile substances such as wax, and tend to be more sensitive to sunlight. Solvent extraction involves soaking plant material in a solvent to draw the fragrance out in a liquid called an absolute. It works for any type of plant matter but is typically used for more fragile material, like flowers. The resulting mixture is then processed several times to separate the absolute from the solvent and any plant residue. On average, 1 to 5 percent of the solvent will remain in the absolute, which is why we prefer other methods. This method uses carbon dioxide as a solvent to produce something called an extract. When carbon dioxide reaches a certain temperature, it enters a “supercritical” state, meaning it’s somewhere between a liquid and a gas. This allows for safe extraction from even the most delicate of plants. When the CO2 returns to its natural gaseous state, it dissipates completely, leaving behind a pure essential oil-like compound. While close to an essential oil, extracts are not considered to 100% pure. We’re committed to delivering the very best nature has to offer to support your wellness. No harmful chemicals or artificial ingredients — just pure plant power. Come visit us at one of our 70+ locations, or chat with us online to learn more about our essential oil-based products.